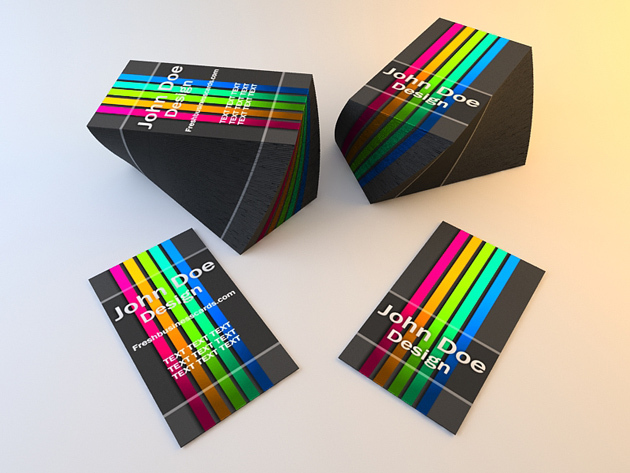 The package contain 2 sizzling, colorful and stripped style business cards. A PSD file which is fully editable. Very organized layers that makes you to change the backgrounds just on a single click. I hope you will find these personal business card templates useful. Where can I do the download of this template? I can’t find the button. Thanks. I love the layout of the finished product, is this a ps .atn (action) or did you do this on your own via 3DSmax? Can you share it? Thank you. Cool Design work. this is really cool! Thanks for make it available!